Es ist noch nicht vorbei! 90 Sekunden wurden hinzugefügt. Das aktuelle Höchstgebot dieses Loses liegt unter seinem Mindestpreis. Ihr höchstes Gebot lag unter dem Mindestpreis für dieses Los. Der Mindestpreis wurde nicht erreicht. Dieses Los wurde daher nicht versteigert. Vielen Dank für's Mitbieten bei Catawiki! 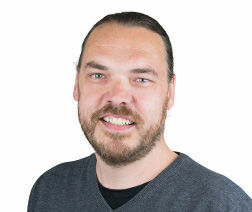 Wenn Sie schnell sind, können SIe immer noch eines dieser tollen Lose ersteigern! 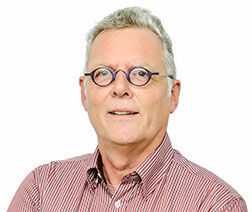 Wenn Sie schnell sind, können SIe immer noch eines dieser tollen Lose ersteigern! Herzlichen Glückwunsch, dieses Los gehört Ihnen! Automatische Gebote ermöglichen es Ihnen allen anderen Bietern einen Schritt voraus zu sein. Bieten Sie weiter. Sie haben eine Gewinnchance! Das Startgebot für dieses Los ist € 125. Schauen Sie sich unsere aktuellen Auktionen an! Favorisieren Sie dieses Los und kommen Sie später wieder um Ihr Gebot abzugeben. Sie haben nun die einzigartige Möglichkeit, dieses Los zu kaufen. 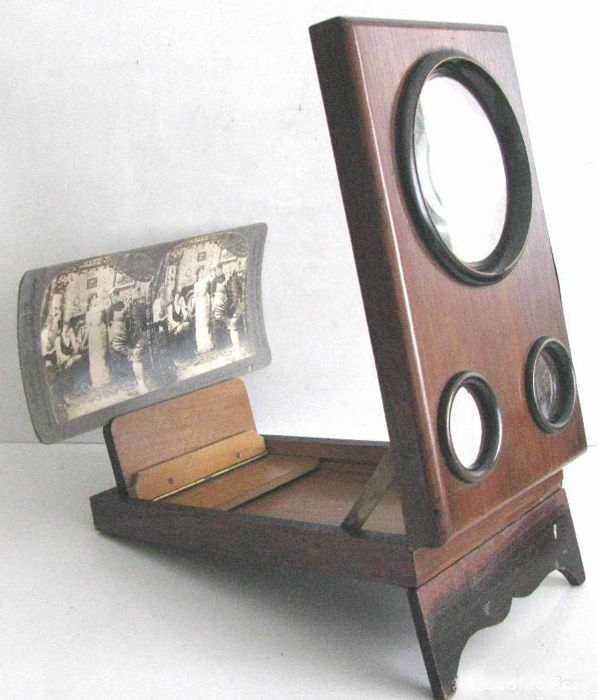 Very old item, manufactured in the late XIXth century, used to view pictures in relief and increased / 3 dimensions. 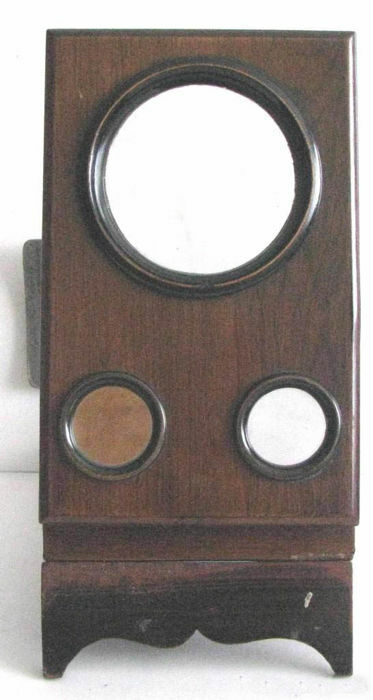 Made in noble wooden body, apparently MAHOGANY,in excellent general condition despite its age (100 years), with a clear vision, lenses and a magnifying glass in perfect condition, a very rare collection item, an interesting and curious object, difficult to find. 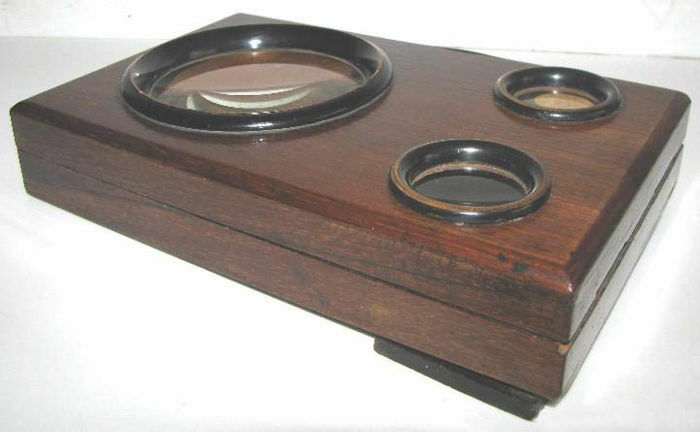 Accordion-pleated box, on the lid: a magnifying glass and two opticals. Good condition. Visible brands and traces of wear,. 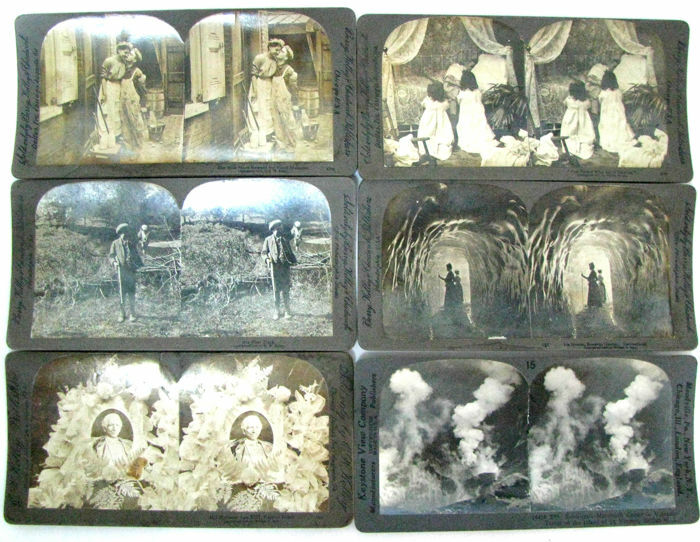 It includes 6 old stereoscopic photographs of 6 x 13 cm. 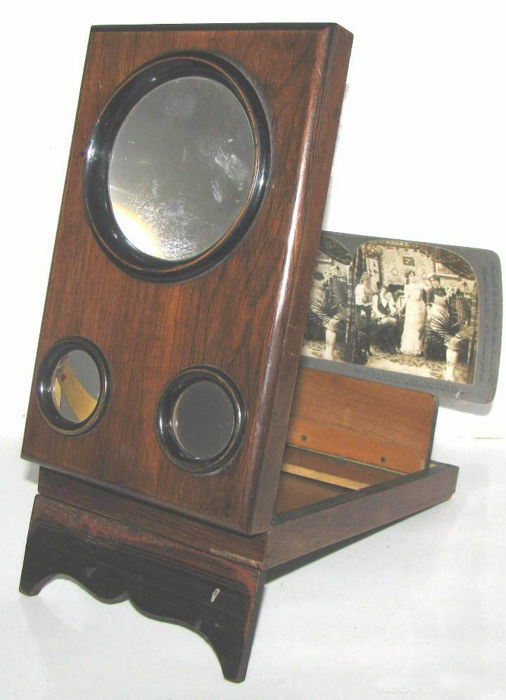 Dimensions of the closed viewer: 20,50 cm length; 4,5 cm width; 13 cm height. All our deliveries are with Registered Air Mail and Tracking number. Item perfect. Thank you for quick delivery. I don t receive anything !! Según la web de correos informa de que su compra hoy ha sido entregada. El vendedor cobra 7 € de gastos de envío cuando su valor es solo de 3,50 €. Una manipulación algo cara, supongo. Debería ajustar su precio al real. El sobre de protección es normal, no protege. Su comentario está lejos de toda lógica, antes de que usted comprara se informaba de los gastos de envio y usted los aceptó,por otra parte por motivo de movilidad se paga a una agencia intermediaria para que haga los envios a Correos. añado que yo pagué la moneda por 88 euros y la malvendí por la mitad. Creo que su único interés ha sido el de ensuciar mi reputación. Que tenga un feliz Domingo. I've received this hat, that's great, thank you very much. There were some troubles with delivery caused by the Belgian post services but seller solved them in a very efficient manner. Very grateful. All is perfect. Thank you very much !! I received the order quickly. The seller is considerate and responds soon to the messages. It was all very peaceful. I’m satisfied.